After a short trip from Luang Prabang Airport, it was time to check out the food stalls at the night market. I was not sure of what to eat since I didn’t have a craving for anything. I usually eat something I have a craving for. When I don’t know what I want to eat, then it can take at least an hour browsing around the street food alley, looking at all mouth watering dishes for the perfect meal. Strolling around the food alley at the night market was a good way to see various Lao Food dishes on display. One of the must have Lao Food dish is no other than Tam Mak Hoong aka Lao Green Papaya Salad. For a first time visitor to the World Heritage Town of Luang Prabang. 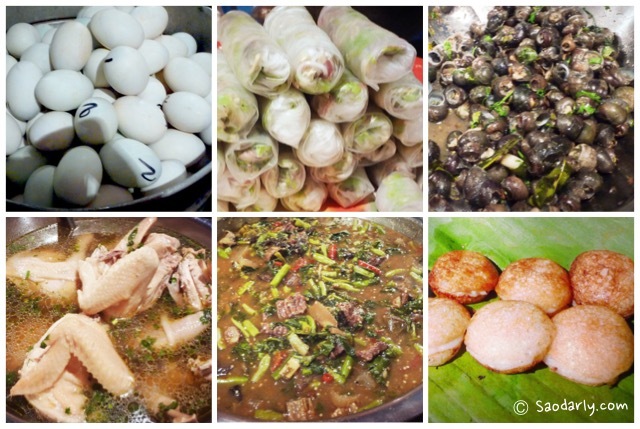 Lao Stew (Or Lam) is a dish one must try out whether from a fancy restaurant or one of the food stalls around town.